Former Foreign Secretary Boris Johnson is facing a private prosecution for alleged misconduct in public offence during the EU referendum campaign. Private prosecutor Marcus J Ball revealed today that he has notified Mr Johnson of his intention to bring a case against him. Mr Ball has instructed Bankside Commercial, which has retained the services of Lewis Power QC, Colin Witcher and Anthony Eskander from Church Court Chambers. 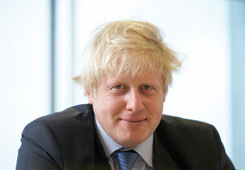 He alleges that Mr Johnson, in his capacity as MP and Mayor of London, made or endorsed “knowingly false” statements in order to persuade voters to back Leave in the 2016 referendum. Giles Bright, lead solicitor on the case, said: “Our role as solicitors for Mr Ball is to consider a set of facts and assess whether they constitute behaviour that ought to be put before a criminal court to consider. The team is now awaiting comment from Mr Johnson’s lawyers and plans to move the case forward early next year.